Migraines are more than just a headache. They cause intense pain, which may be accompanied by symptoms such as nausea, vomiting, and visual disturbances. 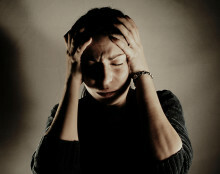 Researchers aren?t sure exactly what causes migraines, but factors such as brain chemical imbalances may be involved. Certain foods, drinks, smells, sounds, and environmental changes (such as the weather) can set off a migraine attack. Migraine symptoms sometimes start a day or two before the actual headache hits. This is called prodrome. These pre-migraine symptoms can include depression, food cravings, irritability, and a stiff neck. An actual migraine produces a throbbing or pulsing sensation, rather than the typical pain of a headache. Often the pain is in just one part of the head. Nausea, vomiting, and dizziness are other possible migraine symptoms. Some people become so sensitive to light and sound from a migraine that they have to lie down in a dark, quiet room until the headache passes. Aura is another hallmark migraine symptom. People who experience auras with their migraines describe seeing flashes or spots of light. They may also feel strange sensations, or have trouble speaking. Migraines typically last for a few hours, but some can continue for a day or two. Triptans are a class of drugs that constrict blood vessels to relieve migraine pain, but they must be taken immediately after the migraine starts to be effective. Over-the-counter pain relievers such as ibuprofen (Advil, Motrin) or acetaminophen (Tylenol) can help with less severe migraine pain. Medicines such as metoclopramide (Reglan) and prochlorperazine (Compro) help with nausea and vomiting. Beta-blockers, antidepressants, Botox, and anti-seizure drugs can help prevent migraines before they start. 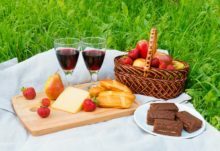 Lifestyle measures like avoiding food triggers, getting enough sleep, and using relaxation techniques may also help prevent migraines. Some people find that keeping a headache diary helps them pinpoint their triggers. If you’re blessed with the gift of perfect or near-perfect eyesight, it can be quite jarring when you first experience a significant period of blurred vision. You’re not sure whether it’s a temporary occurrence or a sign that you might be losing your eyesight. If you tend to develop a headache while exercising or start feeling a headache after you exercise, it’s likely that you’re suffering from the exertion headache phenomenon. You’re more likely to experience an exertion headache if you also suffer from migraine symptoms, which can also stem from vigorous exercise. Tension Headache: What Is It, and What’s the Best Treatment? What Are Migraine Headaches, and How Do We Stop Them? As many as 28 million Americans, including 25 percent of all adult women, have migraine headaches. 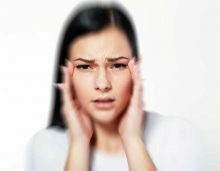 Migraine headaches are often misdiagnosed as sinus headaches because the pain is felt across the forehead and the bridge of the nose, just like sinus headaches.